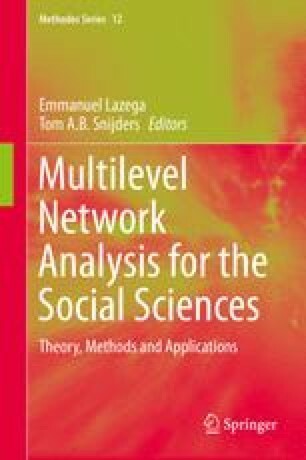 In this chapter we propose an integrated approach to study the effects of individual network position and global network structure on the attitudes and opinions of individuals within groups. The Multilevel Social Influence (MSI) model used here is generic, and can incorporate both individual network position measures such as centrality or brokerage position, as well as group level network properties such as the density, centralization or fragmentation of the network. This enables the possibility to disentangle and identify the relative importance of “individual social capital” from “collectively owned social capital”. Focusing on 201 employees in 27 teams as a specific empirical example, we demonstrated how employee job satisfaction can be explained by looking at the individual attributes of the employee, the position of the employee in the group’s trust network (indegree centrality), and the group structure (density and centralization). We would like to thank Tom Snijders for comments on an earlier version and the sociology students (Ghent University) and Danille De Lange for help with the practical data collection.